For This Doctor, 'DNR' Means Do Not Resign A doctor's first instinct is to do everything to save a patient. 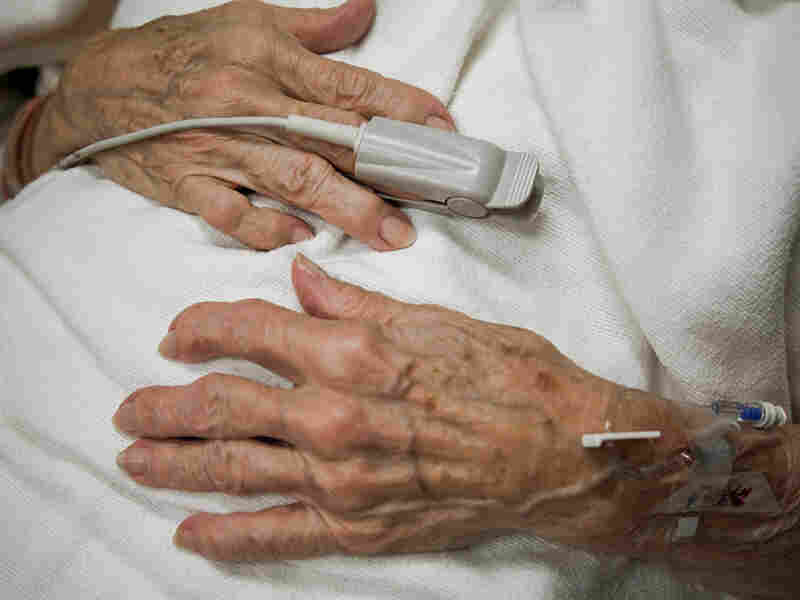 But for end-of-life patients, the decision isn't always that simple. Part of the choice, says Dr. Boris Veysman, is deciding if extending the person's life could be done with comfort and humanity. The emergency department is always noisy, but today the triage nurse is yelling "not breathing," as she runs toward us pushing a wheelchair. A pale, thin woman is slumped over and looking gray. "Anyone know of a DNR on her?" I ask. If there's a "Do Not Resuscitate" order, we won't prevent her impending death. Blank stares all around. "Her daughter dropped her off with a chief complaint of weakness and went to park the car," the triage nurse says. "I think she has cancer and is on chemo." Without concrete proof of a DNR, there's no hesitation. Click, klang, and the patient has a tube down her throat within seconds. I do the chest compressions. On the monitor, she is flat-lining -- no heartbeat. This resuscitation isn't by the book. "Get two amps of bicarbonate," I say to the intern. The jugular line takes seconds, and I flush it with sodium bicarbonate. This probably will correct the blood's extreme acidity, which I suspect is driving up the potassium. The external pacemaker finally arrives. Potent electric shocks at 80 beats per minute begin to stimulate her heart. The vitals stabilize. She has a heart that works. She gags, coughs and starts to reach for the breathing tube in her throat. She has a brain that works, too. I order narcotics and sedatives. She is not only alive but comfortable -- a bonus, as I happen to value the comfort of my patients. But we're not done. "Where's the family?" I ask. I introduce myself, and before I can go further, a man interrupts. "She has DNR orders," he says. It's a bit of a shock. I didn't know this, and I erroneously saved my patient's life. I carefully explain that everything happened fast. We weren't aware of the DNR. She's stabilizing. "Is the DNR still in effect?" I ask. Confusion overcomes the family. The labs and scans confirm renal failure, and major organ systems are intact. I feel hopeful and approach the family again. "I think there's a good chance she is fixable in the short term," I say. I think her depression, weakness, appetite, dehydration and malnourishment can be effectively treated. She needs dialysis. Whatever her prognosis is from the cancer, I think she can probably get at least a few good weeks. The family members spend the next two hours in discussion with the primary oncologist and the ICU team. They decide on comfort care only. No dialysis. I see the burnout in their eyes. Their will to fight quit weeks ago, after the patient's minor symptoms from the chemo and cancer were left unaddressed, leaving the impression that her life wasn't worth living. She died peacefully several hours later. The best resuscitation of my career turned into my most memorable professional disappointment. Folks who say, "When I get that sick, unplug me, don't let me suffer" have never learned how the end of life can be done better. Life is precious and irreplaceable. My version of DNR is "Do Not Resign." Don't give up on me if I can still think, communicate and enjoy life. Treat my depression, dehydration, malnutrition and pain. Even severe, incurable illness can often be temporarily fixed, moderated or controlled, and most discomfort can be made tolerable or even pleasant, with simple drugs. Surround me with people; bring the kids so I can teach and talk to them. Let me use my e-mail. Recall the great people of our time who thrived with disability. People like Stephen Hawking, who has ALS and quadriplegia. People like Christopher Reeve. Only after you make every effort to let me be happy and human, ask me again if my life is worth living. Then listen and comply. At that point, if I wish to die, let me die. But until that happens, none of us realize what I can accomplish with another day, another week, another month. So do it all for me. Then ask someone to do it all for you. 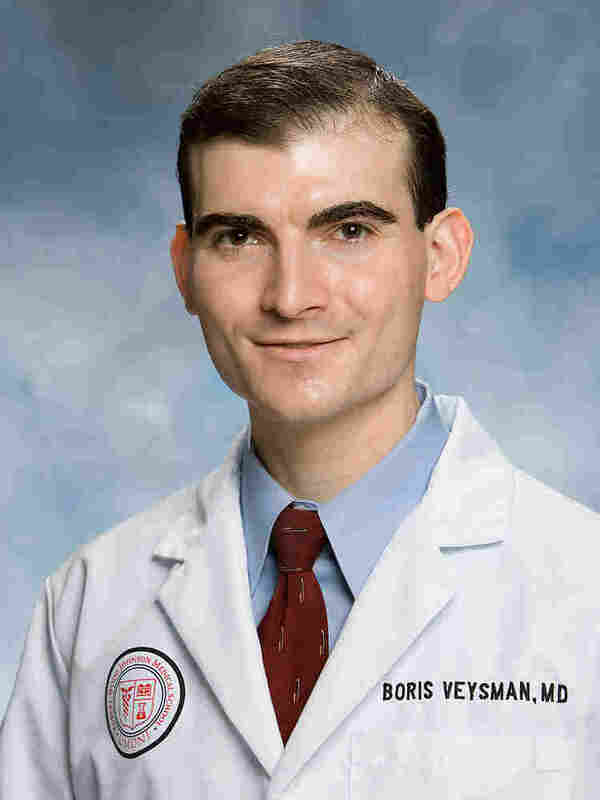 Dr. Boris Veysman specializes in emergency medicine at the Robert Wood Johnson University Hospital in New Jersey. His full essay appeared in the February issue of the journal Health Affairs. Following broadcast of this essay, the author informed NPR that he had changed the gender of the patient and the gender of one of the relatives for reasons of confidentiality. NPR's policy is to accurately convey and report the identity of all individuals mentioned in stories, unless anonymity is vital to protect the individual’s well-being.